On June 20, Sister Shivani, an internationally renowned inspirational speaker, began a 14-city speaking tour of North America with the theme of “Awakening.” Sister Shivani presents spiritual solutions to the complex problems of contemporary life through a TV program called Awakening with Brahma Kumaris and a YouTube channel with over 33 million views and over 160,000 subscribers. “The tour is intended to encourage people to discover and develop their inner resources to resolve conflicts and improve relationships and performance. A spiritual ‘awakening’ can open doorways to new types of solutions and higher levels of freedom and satisfaction,” explained Sister Mohini, Regional Coordinator of the Brahma Kumaris for the Americas. Sister Shivani has travelled throughout India, the United Kingdom, the Asia Pacific region, Africa and the Middle East to conduct lectures, workshops and TV and radio shows on themes such as emotional intelligence, leadership skills, parenting and relationships, self-realization and the practical technique of Raja Yoga Meditation. 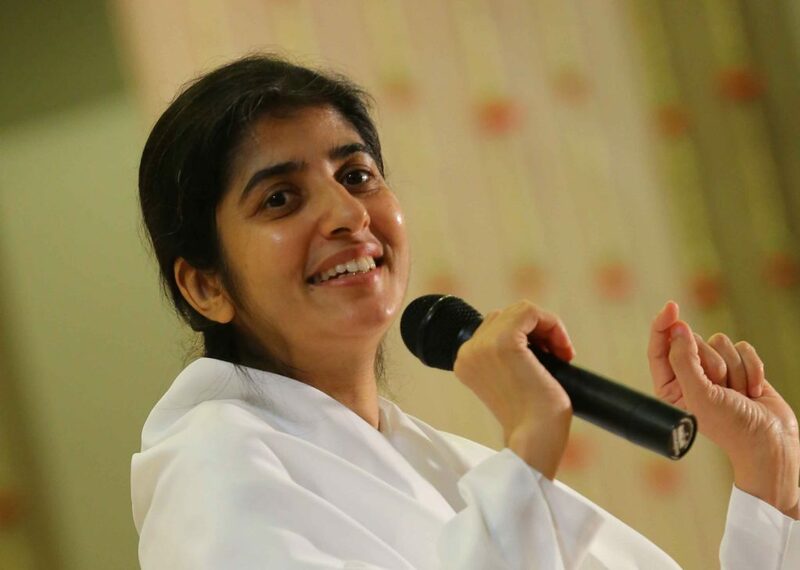 If you are not familiar with Sister Shivani, this YouTube link can show how she brings a spiritual lens to practical issues: https://www.youtube.com/watch?v=03JKefq0wGc. Awakening Inner Peace, Inner Power will be held on Wednesday, July 5 from 6:30 – 8:30 p.m. at the Western Connecticut State University (White Hall) at 181 White Street, Danbury, CT.
Free tickets and information on these programs are available at bkawakening2017.org or by calling 203-775-6411. The Brahma Kumaris World Spiritual Organization in the United States is part of a worldwide network of learning and retreat centers dedicated to transformation through meditation leading to self-mastery. We offer instruction in meditation and spiritual living, free of charge, as a community service. Our U.S. headquarters is in Long Island, NY, our international headquarters is in London and our spiritual headquarters is in Mt. Abu, India.